What started out as a small Bible study in 2008, grew into a church in 2010, and seven years later we marvel at how God continues to work in and through this body of believers to reach Pilar for Christ. Members are growing spiritually and going out and witnessing to their family, friends, neighbors and coworkers, and there are unsaved visitors every week at church. In the past month, three folks have trusted Christ and are now being discipled. Sunday morning attendance has been at an all-time high. Those numbers are a mere reflection of what the LORD is doing in this church. Our theme for this year is, “Each one Reach one. Each one Lead one. Each one Follow one. Each one Take one.” The idea is that every believer is actively involved evangelizing, mentoring, being mentored and taking at least one Bible institute class per year. The response has been amazing! Men, women and teens are doing just that! One of the beautiful things about this is how God is taking broken people and using them for His honor and glory in ways none of us ever imagined. One way we are equipping our people to disciple others is by going through the Foundations book all together in our Sunday morning discipleship hour. In 12 weeks, the 60 people taking this class will be familiar with the material enough to be prepared to teach it to someone else. Please pray as we “prepare the nursery,” so to speak, to receive new converts. 2016 began in a pressure cooker! Working long hours in the scorching South American summer heat, we were pressured to get the new church building ready in time for the April 1 deadline. God continued to provide the health, strength, labor and funds necessary to make that goal in just 13 months, with only volunteers laboring Saturdays, holidays and days off! To God be the glory! See pictures here. The men in our church who work in the construction trade observed that our volunteer crew would accomplish more on a given Saturday than most eight-man crews on a job site get done in a five-day work week! Before the building could be dedicated on April 1, we saw the dedication of many Argentine church folks and Stateside supporters with the donation of their time, labor and offerings. Thank you, once again, to all those who gave toward this project. See pictures here. One of the men dedicated to the completion of the project also proved to be dedicated to the Lord for ministry. We were able to leave Benjamin in charge of the church plant, along with the other two deacons and a missionary intern, while we began a six-month furlough. 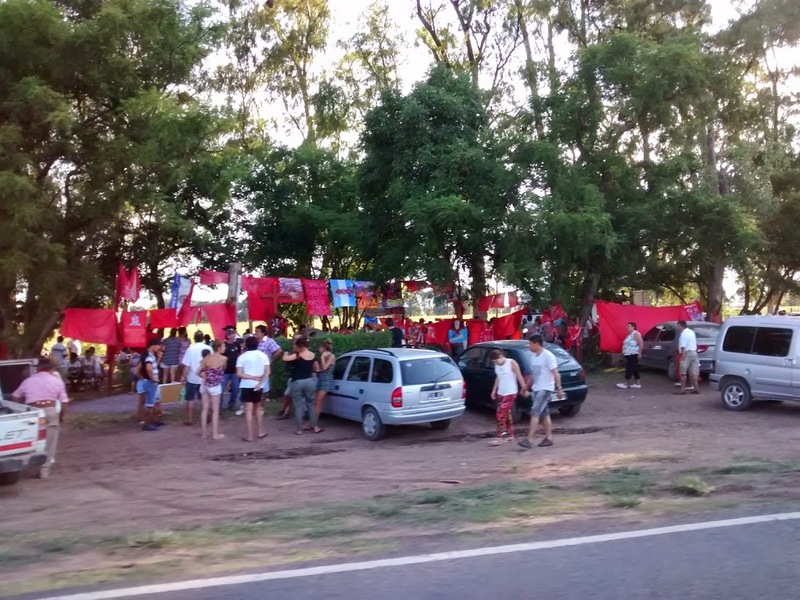 We departed Argentina on August 4 and look forward to returning January 31 of next year. We have visited 17 churches so far, including five missions conferences. See our furlough video here. With a renewed burden for biblical disciple making, we head back to the field eager for the next phase of ministry. During this next term, we will go through the process of handing over this church to national leadership while preparing a detailed plan for the next church plant, which should include a Christian preschool. Please pray for wisdom! Here’s a throwback video from our inauguration in 2010. It’s amazing to reflect on all God has done these past 5 years in this church plant! Every other Sunday evening, we continue to travel one hour north to Duggan to hold church services. There have been new visitors at every meeting, but no salvation decisions. In a provincial (rural) town such as this one, where the people are steeped in satanic worship, the results are slow. The adults and children alike are biblically illiterate. Instead of allowing that to be a discouragement, we can see even more reason for us to preach the Gospel there. Please pray for fruit for our labor. 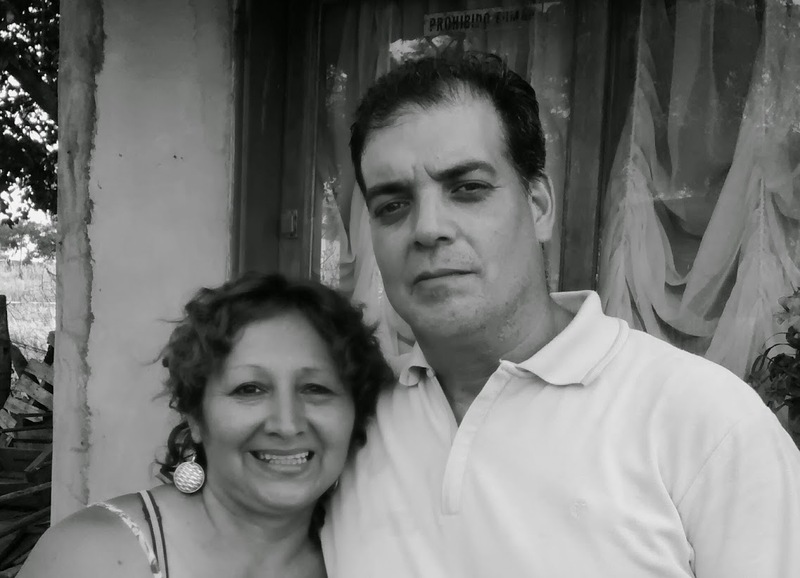 Our gracious hosts for the church meetings, Raul and Lydia. Gauchito Gil and San La Muerte are just two of many folk saints not recognized by the Roman Catholic Church but which are flourishing in Argentina, the homeland of the current pope. In another post, we told you about a future church plant in a little town about a hour north of us. On the eve of the new church plant the weather forecast predicted heavy storms throughout the night, but sunshine the following morning. Since the small town where the Lord has led us to begin this work mainly consists of dirt roads that are impassable after inclement weather, we decided we would wait and see what happened before cancelling the first church meeting. By midday it was still raining, and the family who hosts the meetings told us that no one would want to come out of their houses. However, we determined that since we had canvassed the whole town saying we would be there on November 30, then we ought to be true to our word, in spite of the adverse circumstances! 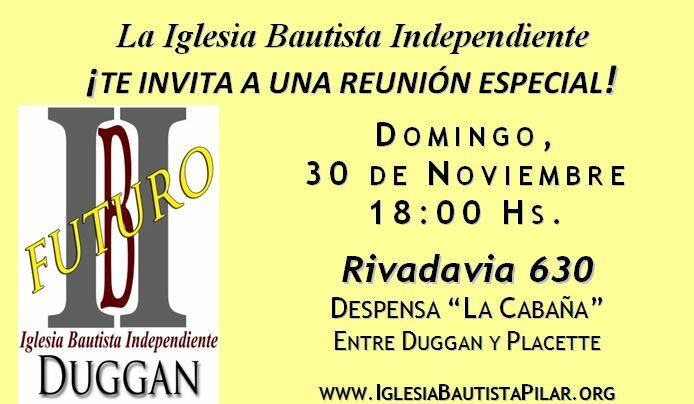 At 4:30 p.m., with five adults from the Pilar church and one of our children as our pianist, we headed north to Duggan. A little over an hour later, we parked five blocks away from the house, transferred the keyboard and our small pulpit to our host’s cargo van, and the six of us piled in for the bumpy ride through the muddy ruts. God blessed the first Sunday service of Duggan Independent Baptist Church with wonderful music, preaching from His Word, and a total of 19 in attendance! In contrast to starting a church in Pilar (with a population of 300,000), it is poles apart. The most exciting aspect to us is seeing our people do so much of the work! 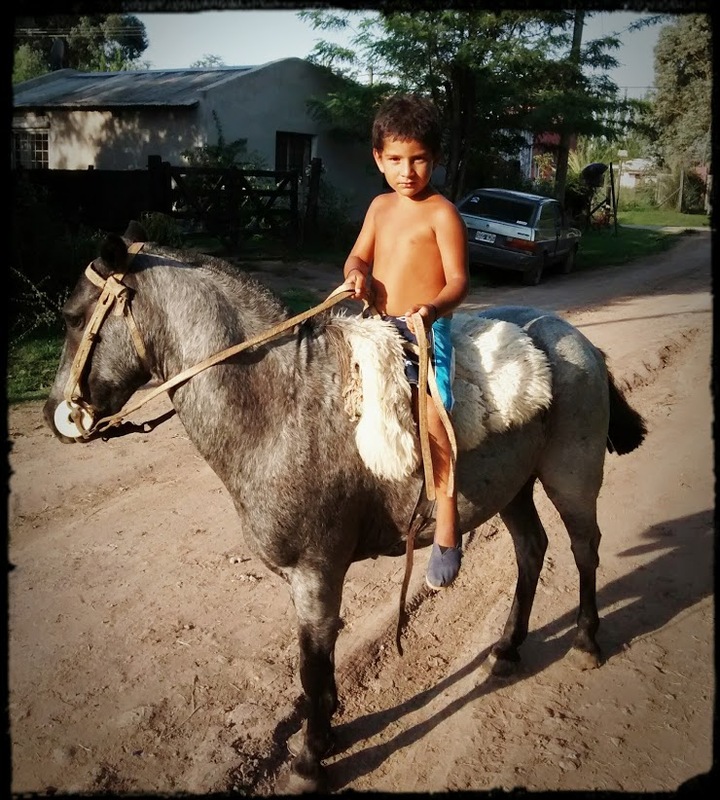 The host family is a member of the church in Pilar with a burden for their little town. When we held the first Sunday services in Pilar just five years ago, we had no one to play the piano, no one trained to counsel or even to teach children. It is amazing what God has done in such a short time! For several months now, James has been holding home Bible studies in Duggan (a rural town about an hour north of Pilar) on a weekday afternoon. Some have trusted Christ through these meetings, while others are still attending and listening. We sense God’s leading to move these meetings to every other Sunday evening, one step closer to a church plant. There are several men from the church in Pilar who will be going out and helping with the Sunday meetings. So, actually, the reason for the move to Sundays is two-fold: hold the meeting at a time more conducive for people’s work schedules and give our men opportunities to minister. Please pray the Lord would give much fruit in the town of Duggan and this would help our men to develop their preaching abilities.